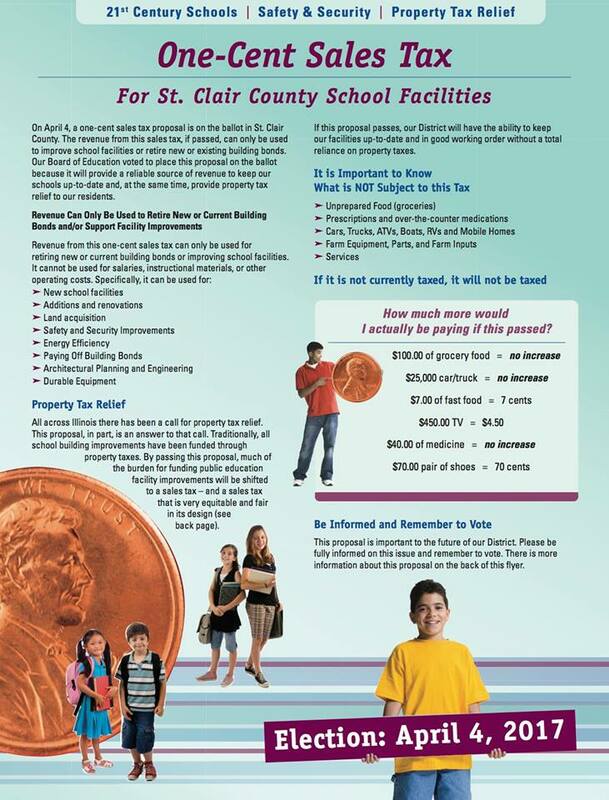 The County School Facility Sales Tax will appear on the April 4th Ballot. Please educate yourself on this proposal. The revenue from this sales tax can only be used to improve school facilities or retire new or existing bonds! This will provide our school a reliable source of revenue to keep our schools up to date and at the same time provide property tax relief to our residents. If you have any questions please contact Mr. Green!